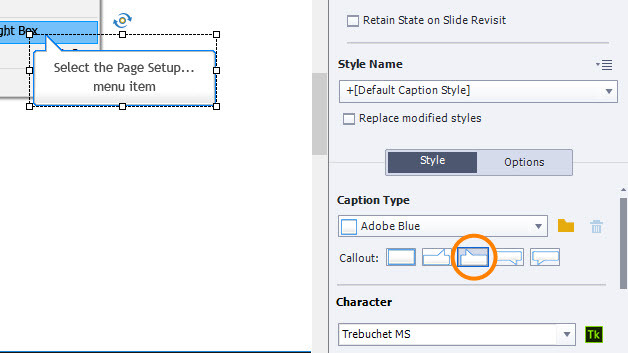 Callouts are directional arrows extending from captions that point to items on the slide. 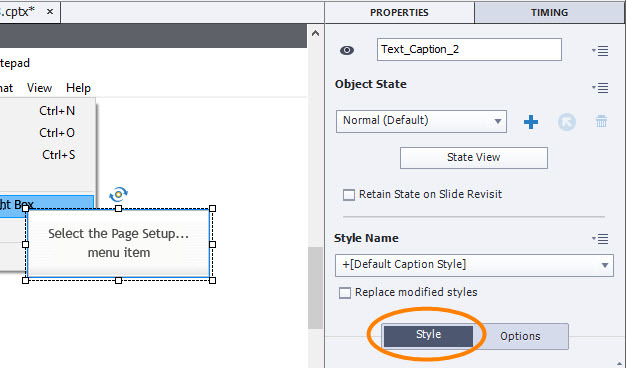 Select the caption then go to the Properties Inspector and click the Style tab. Click the appropriate Callout button.